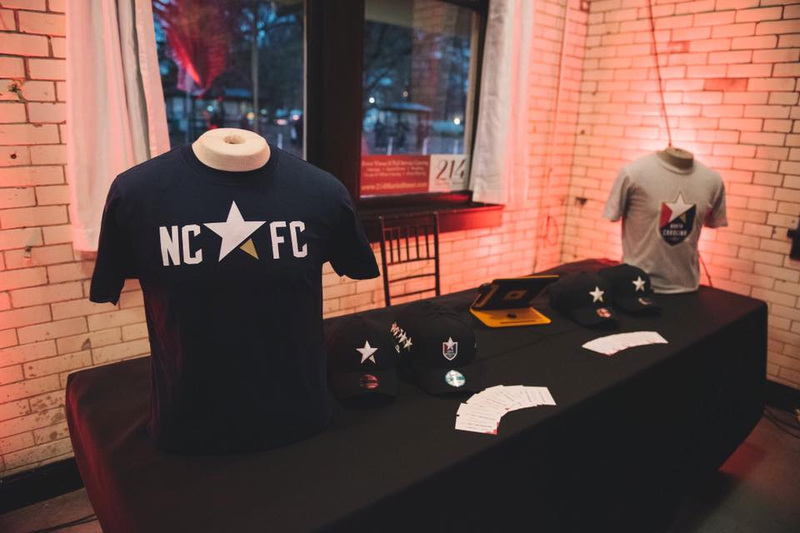 North Carolina FC "About our Brand"
The white five-point star sits at the peak of NCFC’s crest and is a stark symbol of the star on the North Carolina state flag. The star embodies North Carolina as a whole and represents the state’s admission as the 12th US state. Each point comes together to form a united team and club. Jersey. Do not adjust your TV set, the jersey is that dark. New logo and tagline introduction in the style of This Is a Generic Brand Video. Background pattern with owner and other people in front of it. Thanks to Kevin Parker for the tip. (Est. 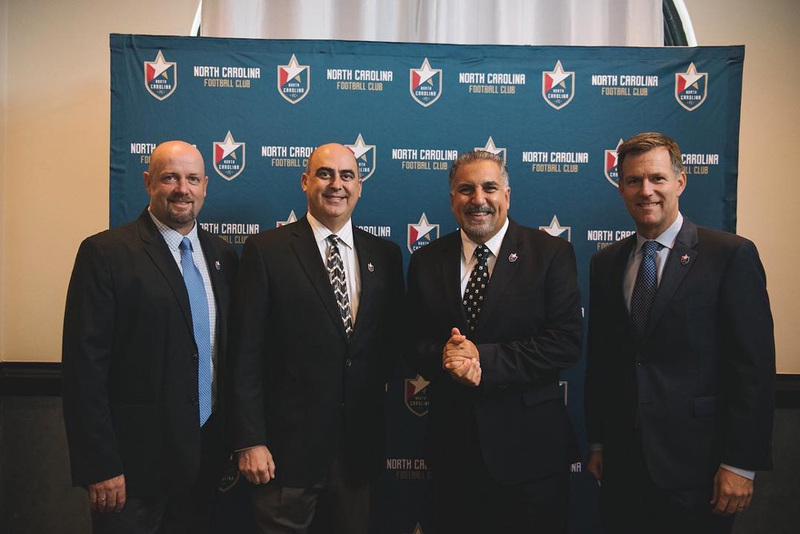 2006) \"North Carolina Football Club (NCFC, formerly the Carolina RailHawks) are an American professional soccer team based in Cary, North Carolina. Founded in 2006, the team plays in the North American Soccer League (NASL). 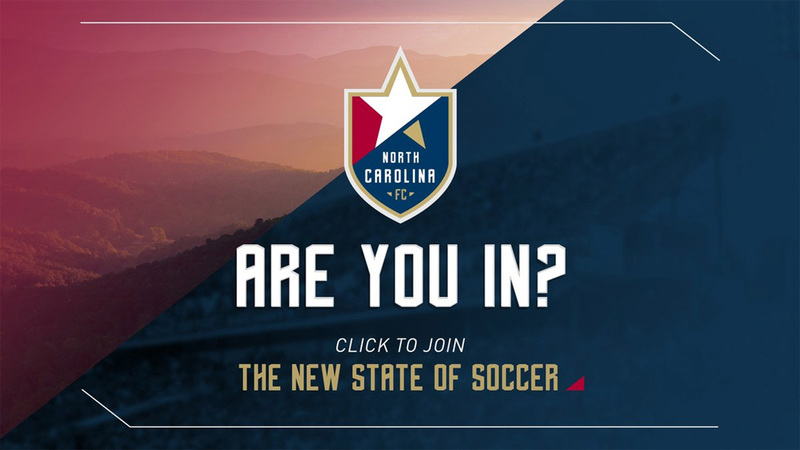 NCFC plays their home games at WakeMed Soccer Park, where they have played since 2007.\"